This is the start of my Christmas series featuring some of the best gardens that I've seen around the world this year. 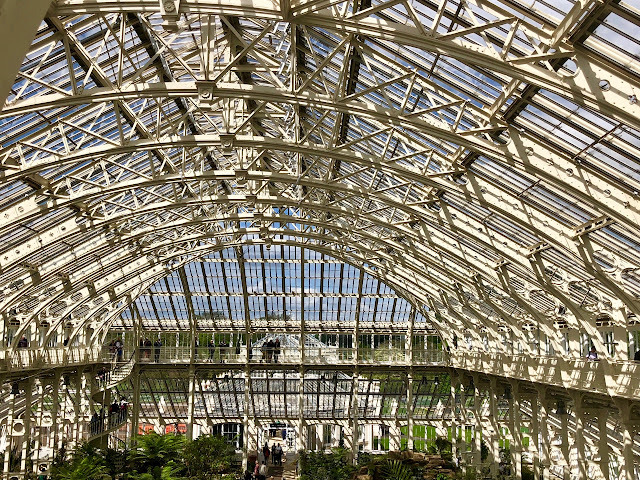 I want to stress that none of the properties are graded or in any particular order of preference, but all are exceptional and worth visiting. 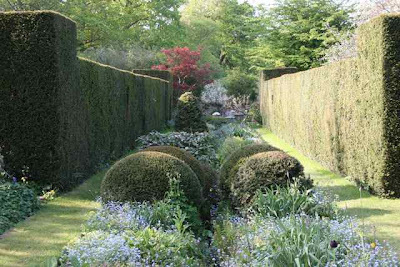 So I start with Vann at Hambledon in Surrey, which is open for several days under the NGS each year and also by appointment. 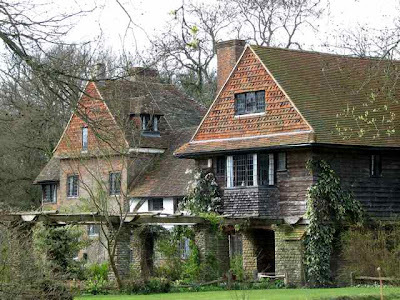 This is a stunning property - a Grade II listed, 16th century house (top), featured in two episodes of Agatha Christie's popular "Poirot" dramas, surrounded by the most stunning five-acre Arts and Crafts garden. 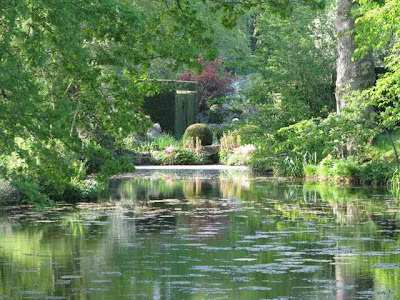 The water garden (above) is particularly noteworthy and was designed by Gertrude Jekyll in 1911. From here a stream flows down into the white garden. 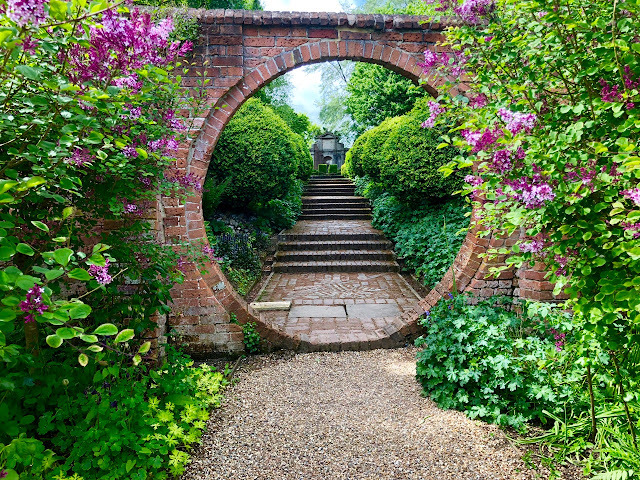 The house (not open to the public) has been in the same family for over 100 years and they have made many improvements to the garden, which opens to the public for several days in early April, May and June - so check the NGS website for details. Vann is just one of the properties that open under the NGS scheme for charity and if you have an interest in Gertrude Jekyll, watch out too for openings at nearby Munstead Wood, where Miss Jekyll made her own garden; and the recently-discovered and beautifully restored Manor House at Upton Grey (also open by appointment throughout the year). Vann is a really exceptional property, so do visit if you can. You won't be disappointed. Two lovely gardens which are just down the road from us and I am ashamed to say we still haven't visited them must make a note of the days they are open. Hi Lottie, what a grand house and garden. I can see why they would use it in Poirot...will have to keep my eyes peeled if I get a chance to watch it again. For the house to remain in a family for 100 years is wonderful. It is nice they open the garden a few times a year. I'm sooo looking forward to your compilation ! I see we are off to a wonderful start. Vann is jaw-droppingly stunning ! (Though I'll probably be saying that about ALL the gardens). TIA for this wonderful 12 days series ! I am enjoying my tour here. Wishing you and your family a Very Merry Chritmas! Merry Christmas and a peaceful holiday to you.